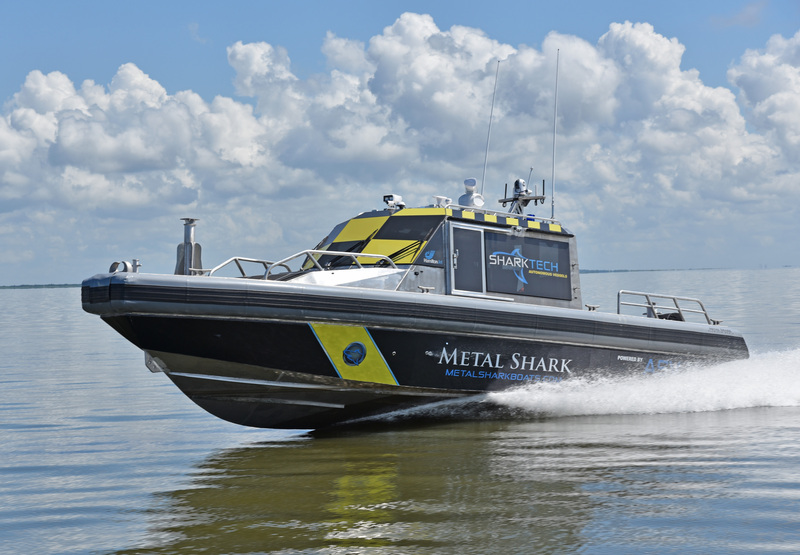 Jeanerette, LA – July 12th, 2018: Louisiana, USA-based shipbuilder Metal Shark has joined forces with autonomous vessel technology developer ASV Global to introduce “Sharktech” Autonomous Vessels. Established in 1986, Gravois Aluminum Boats LLC, and its government/commercial boat entity Metal Shark are leading suppliers of custom aluminum, steel, and composite vessels from 16’ to over 300’ for defense, law enforcement, and commercial entities. Key customers include the United States Coast Guard, Navy, Air Force, Army, foreign militaries, law enforcement agencies, passenger vessel operators, pilot associations, fire departments, and customers from numerous commercial sectors worldwide. With three fully self-contained facilities in Alabama and Louisiana spanning over 75 total acres, Metal Shark employs a workforce of over 500 and produces over 200 vessels a year. 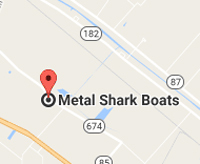 www.metalsharkboats.com. ASV Global is the largest and most experienced actively powered autonomous vessel technology company in the world. The company and its 150+ employees has delivered more than 100 unmanned systems worldwide supporting the defense, commercial, and scientific sectors. ASView, ASV Global’s modular open-architecture software and hardware control system, has been in continuous development since 2008 and is optimized specifically for autonomous and remote control of unmanned vessels. In addition to designing, building, and selling unmanned vessels, ASV Global converts existing manned vessels to optionally unmanned, leases unmanned vessels, integrates client payloads, and provides field support. www.asvglobal.com.